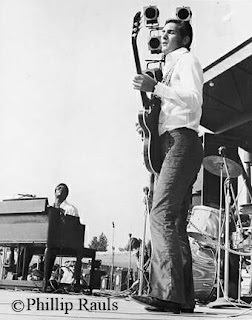 Steve Cropper pulls the strings on his Gibson Guitar while Booker T. acknowledges the solo on his Hammond B-3. In this previously unpublished photograph shot on stage in 1969 at The Atlanta Pop Festival, guitar legend Steve Cropper from Booker T. & The MG's is tapping his toe and center of attention while playing the smash hit "Hip Hug Her." Sometimes it boggles the mind when you stop and think about the musical footprints left across the universe by the still active and ever-present Steve Cropper. What can be said about this famed guitarist of Booker T. & The MG's that hasn't been said before? After all, he's only been around the music scene since the early 1960's. While visiting with Cropper recently, I found him to still be the charmer and posses unfailing street smarts. Somehow he's always had the magic ability to walk into a studio and put people at ease while making things happen. 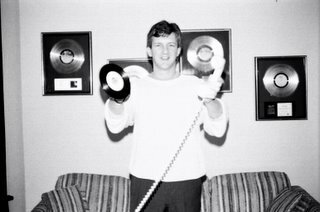 Cropper was a founding member of the high-school band sensation The Mar-Keys whose instrumental hit "Last Night" was the cornerstone of Stax Records. He played with many groups of musicians around the Stax studio, the most successful of which was Booker T. & The MG's who provided the musical punch for many of Stax's knock-out hits. 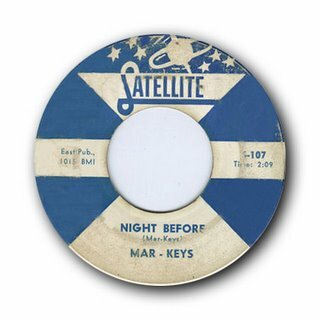 Of course there was "Green Onions," "Cruisin'" and "Time is Tight" plus dozens of other hits by Booker T. & The MG's. However, The MG's were almost like a side-project for him with everything else going on in the studio. 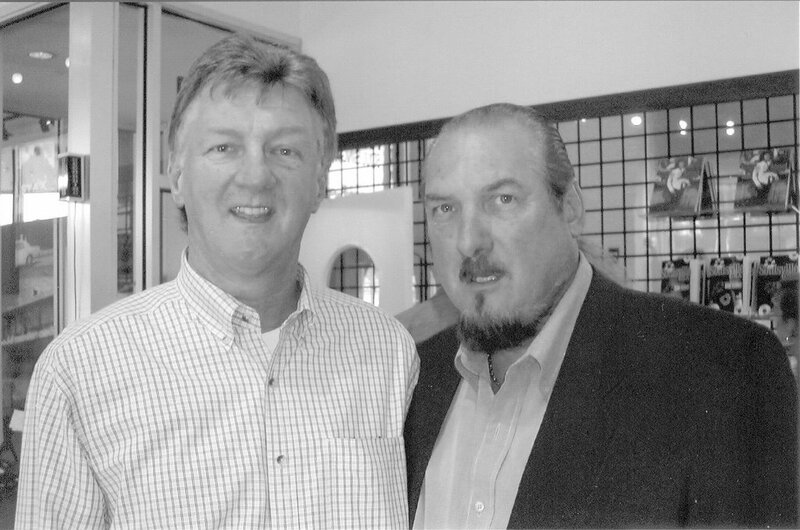 When Steve Cropper became right-hand man to Stax President Jim Stewart after the departure of producer Chips Moman, numerous recording projects began developing. Stewart also trained Cropper while preferring his easy going nature which was reflective of his. As Cropper molded his own identity, he would emerge as engineer, producer and write songs for many of the artist that would become major figures in the world of Soul Music. He co-wrote the hits "Knock on Wood" with Eddie Floyd, "Sookie Sookie" and "Don't Fight It" with Don Covay and with many more to follow. 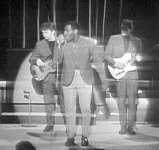 A good example of Cropper's legend unfolding was when he was summoned to 'Play it Steve' on Sam and Dave's monster hit, "Soul Man." In the early 1970's, Cropper departed the Stax fold and rather than cast his hook into the debts of the world market he opened his own Memphis-based recording facility, Trans Maxius Inc Recording Studio (TMI Studio). As a self-contained and low-profile business person, he chose a conservative and workmanship approach at producing music. An early client coming into TMI Recording Studio was the avant-garde guitarist Jeff Beck who solicited Cropper to play lead guitar on several tracks of his album. Surprisingly, Cropper turned down Beck's request feeling that his lead guitar was no equal to Becks. Hmm...Imagine that? Personally, I found this hard to believe coming from a legend known for his soulful Fender Telecaster. However, a modest Steve Cropper later defended his actions and confided, "I really didn't learn to play fluent lead guitar until after opening TMI Studios." But Cropper continued with his observation, "Shoot, guitarist are all different. For years I'd see guitarist come into the studio and change their guitar strings before each session. Man, I never changed my guitar strings. I'd let'em stretch into place and play'em forever. I'd even apply Chap-Stick to my guitar strings to break'em-in and enable my fingers to slide across the neck. It just made the guitar sound so much better that way," Cropper concluded. Somehow during the course of our conversation I mentioned the final days of Stax. Those days were very painful for both of us whereas we witnessed the mother ship go down. Cropper sat-up in his chair and cleared his throat while offering a word to the wise. He said, "None of that crap matters anymore Phillip." He continued, "You see, nowadays it's all about the music, Man." Having listened to his wisdom once again, Cropper was indeed right. How could I have doubted him? "Nowadays, it's all about the music." Through the years, Steve Cropper would go on to work with the likes of Rod Stewart, Paul Simon, Elton John, John Mellencamp, Tower of Power, John Prime, Ringo Starr, John Lennon, The Blues Brothers and countless other music legends. Steve Cropper (on right) is reunited with long time associate Phillip Rauls during the grand opening of The Stax Museum of American Soul Music and the Stax Music Academy in 2003. Speaking of Phillip, he is the editor of THE PHOTOLOG while Cropper was present at the original job interview that brought Phillip on-board at Stax Records as Local Promotion Manager for the Mid-South back in Janurary of 1968. Later in 1974 Phillip later became the Stax Pop Promotion Coordinator while in 1975 he became the Director of Professional Activities for STAX's publishing company, East/Memphis Music. Rauls has promoted many of Cropper's records with Booker T. & The MG's such as "McLemore Avenue" and also the classic "Jammed Together" by Albert King, Pop Staples and Cropper plus a solo effort on STAX by Steve Cropper titled, "With a Little Help From My Friends." Perhaps Steve Cropper's finest session work and songwriting was with Otis Redding. Steve Cropper and Otis Redding co-wrote the mega-hits, "Pain in My Heart," "Mr. Pitiful" and the legendary, "Dock of The Bay." Booker T. & The MG's backed Otis Redding in the recording studio and also on the road as his touring band as seen here with (L-R) Duck Dunn on Bass, Otis Redding in center and Steve Cropper on guitar. Steve Cropper's collaborative relationship with Wilson Pickett produced the R&B classics "In The Midnight Hour," "634-5789," "Don't Fight It," and "Ninety-Nine and One-Half (Won't Do)." Although several of Wilson Pickett's biggest hits on Atlantic Records were cut at STAX Recording Studio in Memphis, Pickett also recorded at Fame Recording Studio in Muscle Shoals, Alabama. He was known for his sensuous soul and raspy vocals that produced an unbridled style of dance music which teenagers endured. Wilson Pickett was inducted into the Rock N' Roll Hall of Fame in 1991. Sadly on Thursday Jan. 19th, 2005, Pickett passed away of a fatal heart attack. 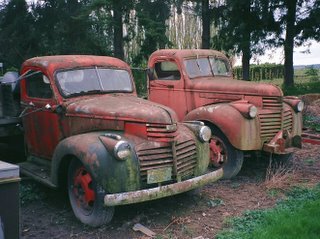 Old cars, tractors, vintage motorcycles and especially abandoned trucks are favorite subjects to capture through the viewfinder. Especially if mother nature has cast her spell of beauty upon years of neglect. Here parked behind a barn at a garden nursery stood these old work horses that had come to rest. 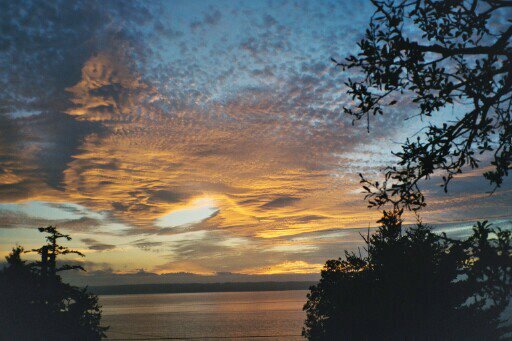 While sipping on a glass of Cabernet with my feet propped-up on the deck, a summer sunset painted multiple colors across the evening sky. Forget about watching TV or reading the evening paper, dusk at my residence is the place to be to witness the Westerly sky. On an Easter Sunday drive to the State Park located at The Enid Reservoir in rural Mississippi, I came upon a set of triplets in the picnic area sitting on a swing wearing their colorful Sunday School outfits. 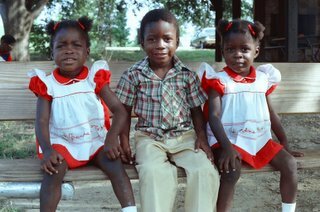 The year was 1981 and it just so happened that I had my camera in my vehicle when I asked the parents permission to photograph the trio. Immediately I began shooting when suddenly I was captured in their spell of pure innocence. 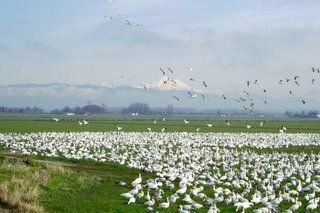 Every Winter during their Spring migration, thousands upon thousands of Snow Geese converge upon the farm lands of the Skagit Valley in Northwestern Washington. 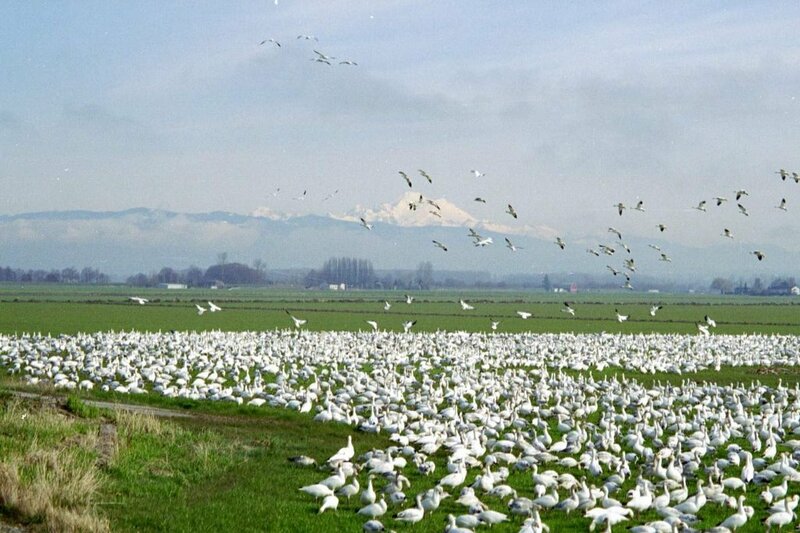 Both the entire sky and ground surface are blanketed in white by these graceful and enormous birds. Pictured in the distant background is Mount Baker standing at 10,778 feet. This is the conclusion of a 2-part story on the working mechanics of the music business. See previous story for continuing storyline. Songs traveled through many different carriers. An early component for the advancement of a popular song was the "Vinyl Donut." Promotion Executive Phillip Rauls delivers his message of "dialing and smiling" to Radio Disk Jockeys, TV critics and Newspaper journalist. Pictured here during the era of the 45 RPM single, Phillip shamelessly offers his services in an advertisement posted in a industry rag. Popular songs have evolved over the centuries, many traveling through printed sources and others delivered through human efforts. From the days of Irving Berlin to the era of Isaac Hayes and David Porter, somehow great songs have found their way to the public. In this second of a two part series (see previous posting; "The Evolution of The Promotion Man") we focus on the modernization of song travel during the 20th Century. Music historians arguably disagree about the birth of Rock & Roll and its origination. As a child coming from that generation, allow me to offer my perspective upon the music deriving from Memphis and the Mississippi Delta. Where it started and when it started is a disputed subject that is well documented, but not a subject for this posting. Instead, let us focus on the evolution of a song's popularity spreading into mainstream society. There were many contributing factors to the passage of a song. Many songs mysteriously traveled through vast carriers but once they were recorded and pressed onto vinyl, they were ultimately sealed in a period of undiscovered notoriety awaiting their destiny. During the 20th Century, Radio airplay, TV exposure and the benefit of print media were the all-essential components for a song's popularity. Question is: How did a song conveniently arrive at that decorum? Definitive Answer: Songs didn't magically sprout wings and fly from the recording studio and appear on your favorite radio station or upon your TV screen. Did newspaper reviews generate by themselves? Who alerted the Disk Jockeys or journalist on behalf of the recording artist performance? The discovery of a song's artistic merit was channeled through those who approached a sometimes apprehensive broadcast and newsprint system with this message. Several generations of records became successful as a result of the precocious and fundamental development produced through the human labors of promotion people. Musicians from all over the world have experienced career advancement through the tedious lobbying process provided by this standard. A love for good music was the bond that connected these radio and record counterparts who were at risk by taking a chance promoting or playing an unproven or underdeveloped artist. It may surprise you but there were occupational hazards attached to this seemly risk-free profession. There was a distinctive career gamble at playing or promoting the wrong songs. Radio stood the risk of being the victims of poor ratings by playing music which the public could not embrace. Whereas record promoters might loose their credibility by associating themselves artist with weak material. Poor decisions within the music industry always resulted in being unemployed. Sheet Music Salesmen, Song Pluggers, Front Men, Promotion Men and Record Promoters were the soldiers who carried the torch by lobbying the front-line media of Disk Jockeys, TV Critics and Media Journalist with an arm full of cutting-edge songs and determined to establish foundation. In other businesses those professional services would be the equivalent of say, an event strategist, a curator, a design coordinator, or an architect. Someone who turned an idea into reality. However, let it not be misunderstood. Many songs can spearhead their own success by the magical power of their lyrics and harmonic contents. However, these great songs containing this dynamic can propel themselves to even further heights with the guidance and maintenance provided by promotion people. The sequence of promotion, marketing and advertising efforts are all the labors of people skills and not to be confused with the song's mystique.